#1 Healthcare and Fitness App in iTunes Today ! Thanks for all your support for my new app – it has made it to #1 in iTunes today in the Healthcare and Fitness category !! If you don’t have it yet, please download the FREE version today and take a look ! 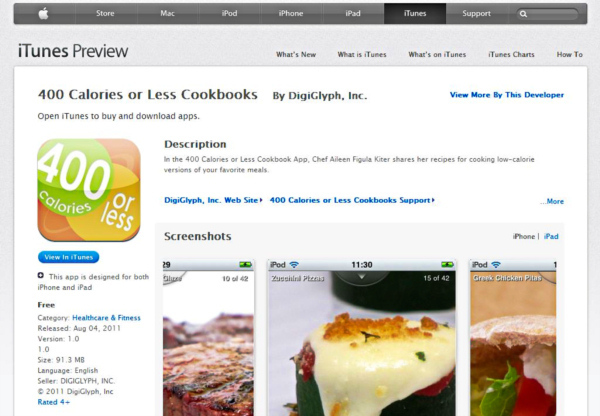 Win a Copy of the 400 Calories or Less App (iTunes) – Show Me What You’re Cookin’ ! All you have to do is show me what you’re cookin’ ! Head on over to the 400 Calories or Less Facebook page, ‘LIKE’ the page and then post a picture of what you’re cookin’ – then on Friday I will pick a winner and send you a promo code so you can get the whole app for FREE! 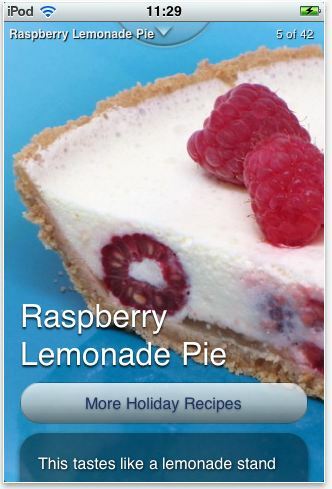 Right now the free portion of the app has a whopping 40 free recipes – but if you want the whole thing (includes 4 cookbooks) for free, show me what you got going on in your kitchen 🙂 I don’t care if it’s 400 calories or 4000 calories – just snap some pics and get them posted. If you don’t have an iPhone, iPad or iTouch – you can gift the promo code to whomever you want. So get cooking and get snapping 🙂 See you on the Facebook Fan Page !